Prof. Dr. Günsel Renda has received her B.A. from the Department of Art History in Columbia University and M.A. from Washington University. During 1965 and 2004 she had taught at Hacettepe University as the chair of the Department of Art History. In 1993-1996 Prof. Renda was the adviser of Turkish Ministry of Culture and Tourism. In 1996 she worked as a guest professor at Ecole Pratique des Hautes Etudes à la Sorbonne in Paris. She attended and lectured at many international congresses and symposiums and participated in research and international meetings on Turkish art throughout the World. She also worked as a coordinator for many international congresses and exhibitions. Prof. Renda has numerous publications including many articles and over 30 books on Ottoman Miniature Art, as well as Ottoman paintings in the 18th and 19th centuries. Currently she teaches at Koç University. Batılılaşma Döneminde Türk Resim Sanatı (Ankara 1977). The Transformation of Culture. The Atatürk Legacy (ed. M. Kortepeter, G. Renda) (Princeton 1986). 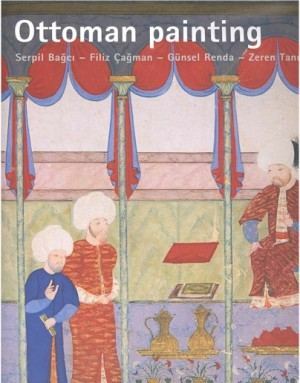 A History of Turkish Painting (Grabar, Renda, Turani, Ozsezgin) (Genève-Istanbul,1988). Woman in Anatolia. 900 Years of the Anatolian Woman (ed.G.Renda),(Istanbul 1993). Padişahın Portresi / The Sultan’s Portrait. Picturing the House of Osman (as co author) (Istanbul, 2000). Osmanlı Uygarlığı / Ottoman Civilization (ed. H. İnalcık, G. Renda, (Istanbul 2002). An eye Witness of the Tulip Era. Jean Baptiste Vanmour (S.Nicholas, Bull, Renda, İrepoğlu) (Istanbul 2003). Minnet av Konstantinople. Den osmansk-turkiska 1700-talssamlingen pa Biby (Achlund, Adahl, Brown, Karlsson, Kaberg, Laine,Renda), (Stockholm 2003). 17. Yüzyıl Avrupa’sında Türk İmajı / Image of the Turks in the 17th Century Europe (Neumann, Stepanek,Yerasimos, Renda,Gardina, Grothaus,Vidmar) (Istanbul, 2005). İmparatorluktan portreler / Portraits from the Empire (Günsel Renda-Zeynep İnankur) (Istanbul: Pera Museum 2005). Osmanlı Resim Sanatı (Serpil Bağcı, Filiz Çağman, Günsel Renda, Zeren Tanındı), (Istanbul, 2006).